To score well, there are some golf shots that are just more essential to learn than others - ones you need to practice to lower your handicap and make you want to come back to the course time and again. "You've got to hit the fairway before you have a good chance of putting the ball close to the pin. You can be the greatest iron player in the world, but if you're in the boondocks it won't do you any good." Players like Dustin Johnson rely on their long drives to move them down the fairway and into position for an easier approach shot. At the 2018 WGC-Dell Match Play event, DJ smashed a drive a quarter of a mile (although it included hitting a cart path, this was still a "wow" moment). Some golfers would argue that the most important golf shot in your bag is the approach shot because, if executed properly, you can get on the green in regulation and make possible birdie or par. Other golf gurus, such as Dave Pelz, state that it isn't your putting which should consume your focus but, rather, you should work on your wedges, "Putting is not the most important part of the game – it’s your wedge game. Putting is the second most important because you do it half the time." "If there are 18 holes on a golf course and each green is worth two putts that means that par for putting is 36. The majority of 18-hole golf courses are par 72. That means that half of par is putting." One question to consider is..."What is more important for your game... to start each hole well or to finish strong?" 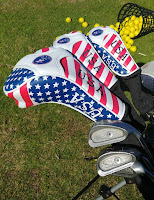 As for my own personal game, I add strokes to my round on my approach shots and through lack of feel on the greens - hybrid clubs, mid-irons and putting are where I need to strengthen my game. Titleist believes that hitting greens in regulation is a basic statistic which players should track, "golfers play more shots to the green than from the tee. The higher the score, the more shots that have been hit to the green." Everyone's golf game is different and we all have our "pain points", so, it is necessary to practice all shots in your bag, identify weaknesses in your game, decide where you need work and focus on those shots. What are the shots you need to practice? Comment at the bottom of our Golf for Beginners golf blog and tag us on Twitter @Golf4Beginners. Lowering your golf score doesn't have to be a difficult process - the easiest ideas often work best for most golfers...even the pros. Recognizing when you may in the throes of trouble and thinking about your next shot is often all you need to do in order to stop a downhill spiral. Golf for Beginners' author, Barry Solomon, has a few tips for curbing doubles and triples on your scorecard, no matter what level you are at in your enjoyment of the game. 1. Curb the blowup holes! Hit a wayward shot? Here are a few ways to recover. a. Just get the ball back in play - see an opening to the fairway? Take it. b. Don't try those miracle saves (unless you are at the practice facility) - you will hit that tree trunk. Lay-up before the trouble, then you should have an easy pitch to the green. Maybe make the putt for par or 2-putt for bogey. Move on. It's better than dunking your golf ball into the water or hitting it onto the next fairway. Read: Is Distance Overrated for Golfers? 3. Golf ball in a greenside bunker? Unless you are confident of your skills, don't try to make that perfect shot and maybe thin it into the next county or into more trouble. Just get your ball safely out of the bunker - that is your #1 priority...then move on. 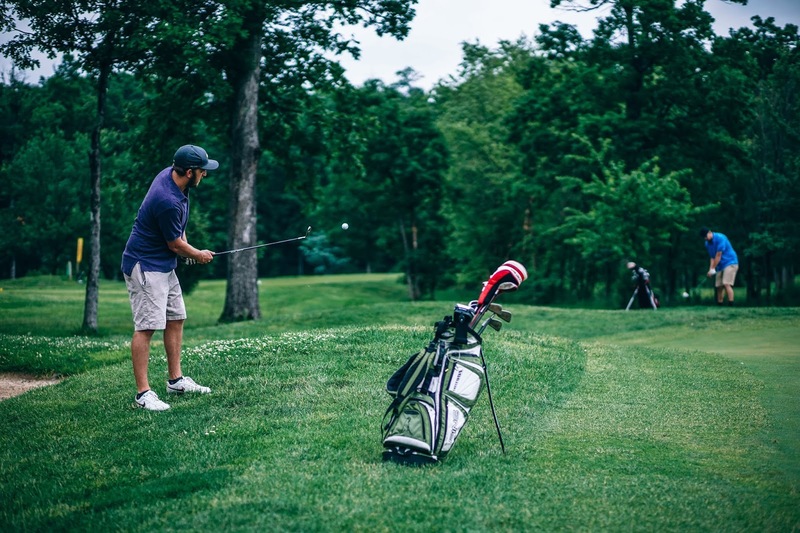 You will be surprised how many costly strokes these golf tips will save you; you may be surprised when you total-up a lower score than you have had in a long time! Have more smart ways to lower your golf score? 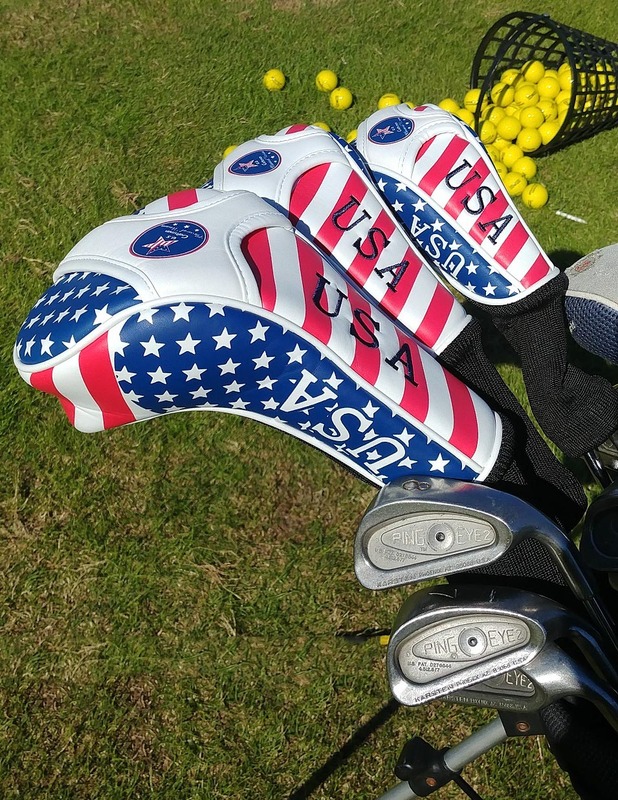 Post them in the comments section of this golf blog and tag us with your ideas on Twitter @Golf4Beginners. How many times has your golf ball landed in the woods surrounded by debris or pine bark? When was the last time there was damage to the green between your ball in the hole? New Rules of Golf are finally being adapted for the playing public that will hopefully bring a fresh perspective to the game and an easier time for amateurs. You don't have to ask the golf gods for help anymore when certain types of trouble occur during your round; governing bodies have made it easier for golfers to play the game by making the Rules of Golf understandable, and easier, for the average duffer. The new rules of golf go into effect on January 1, 2019, so don't have any of the above mishaps until then! Some rules to me don't make much sense; here is one that I don't get - the average golfer wanted a better way to drop the ball - the new rule will be to drop from knee height so as to keep the randomness of the drop yet help when it comes to where the ball ultimately falls. Two of the most important rules changes for amateurs refers to eliminating the stroke-plus-distance penalty and a revision of a bunker rule. 1. Instead of having to return to the tee box after a lost drive, golfers will now be able to take a drop from where they believed the ball went astray (you can now drop your ball in the fairway, in a similar area to where you lost it). In the interest of time, and moving players along on a publinks, this is a good change, however, be aware that you will incur a two-stroke penalty! I am not sure how many folks actually went back to the tee box in the first place, but kudos for making this rule change! 2. If you think you will not be able to get out of a certain bunker (too high a lip, you're just not good out of bunkers, etc) you can take a drop just outside of the bunker in line with the hole...for a two-stroke penalty. One more rule change which I believe will help speed pace of play is that the time you spend searching for your ball is now cut from five to three minutes. Most golf beginners don't hit the fairway with every drive nor do they have great bunker skills, so these rule changes are sure to speed the game along and to give newbies more confidence moving forward. I applaud the governing bodies for enacting changes! Arnold Palmer was an inspirational man to those who surrounded him as he was to the rest of the world - a local hero whose roots were in Latrobe, Pennsylvania, home of 8,000 people and Rolling Rock beer. What more can we learn about The King of Golf from a behind-the-scenes biographer? Perusing the book, "Arnold Palmer - Homespun Stories of The King", I set out to find out what turned this golfer into the memorable superstar of his time. At the very start of this compendium of stories written by Chris Rodell is a foreword from Gary Player which sets the tone for what is to follow; Palmer, "was equally at ease dining with kings and queens as he was having shots and beers with the gang sitting around the bar at the local volunteer fire department social hall". Filled with stories of the legend, "Homespun Stories of Arnold Palmer" is truly an exclusive, inside look at The King's life, his successes, and failures, which made him the hero which fans around the world admire to this day. Below are a few tidbits which I found interesting about Mr. Palmer. What Do Arnold Palmer and Mr. Rogers have in common? Two of the most important men in their respective fields, Arnold Palmer and Mr. Rogers, share at least one commonality which is, both were born in Latrobe, Pennsylvania. Did you also know that the two were classmates? Although I am unsure of his golf prowess, Mr. Rogers, in an episode of his highly regarded children's show, taught youngsters about the importance of practice to become a skilled golfer. Did you know...Arnold Palmer had a dog named Mulligan? Troon was one of Arnie's favorite courses but "he'd play Latrobe...every day, all the time". (Palmer related in chapter 8 how he once shot a 60 on Latrobe Country Clubs - one of his most memorable and exciting life moments). Arnold Palmer was a seasoned pilot. He used to "fly low to let Winnie know that he's home and to come pick him up at the airport. If you are a true golf fan, chances are, at one time or another, have been asked or have asked this question, "If you could play a round with anyone, who would you choose?" After reading this book, I would have to add Arnold Palmer to my short list as he embodies the spirit of the game for the "everyman" in all of us. Despite dinners with the Queen of England and Presidents of the United States (Eisenhower to Barack Obama), Mr. Palmer always remained humble, a quality sorely lacking in many of today's celebrities. If you are a fan of golf, you will definitely find interest in the life and times of The King - take off your golf shoes and set a spell with your can of Arnold Palmer and this enjoyable read. What are your thoughts on this book? Let us know what you liked most about Arnold Palmer in the comments section of this golf blog and tag us with your best Palmer stories on Twitter @Golf4Beginners.